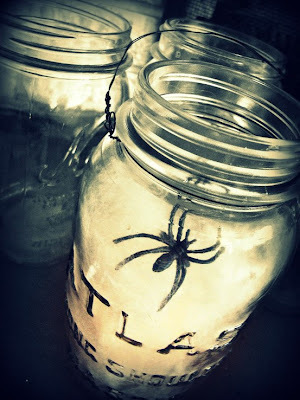 If I were to host an all out Halloween party, I'd go with fun, creative and cute themes. I have Pinterest boards called Hostess with the Mostest and Fooooooood!. I love these boards because they feed and entertain my inner Chef and Party Decorator (someday). 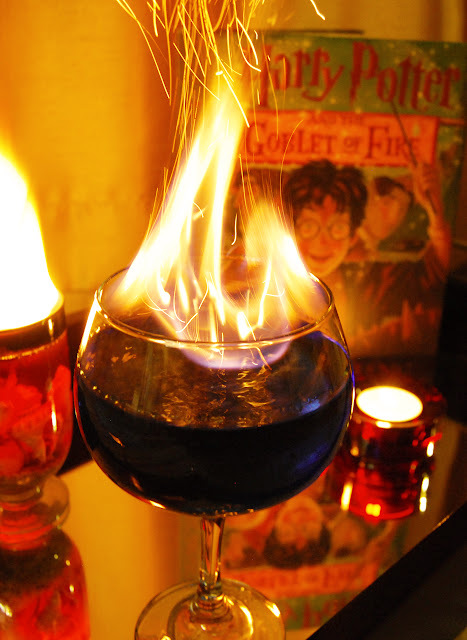 But anyway, here are some food and party ideas for an awesome Halloween Party. Great Ideas from creative people! Halloween Table Design by Amy Atlas (she's amazing). an Alice in Wonderland Theme party. Bottle via Etsy seller Windrosie. Have these jars placed around the house. Link via The Brass Paperclip Project. Check out Better Homes and Gardens for more ideas like these cute Mummies wrapped in gauze strips. 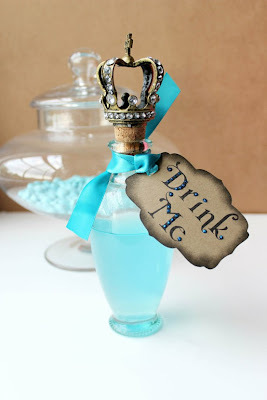 Link via Little Pink Blog. 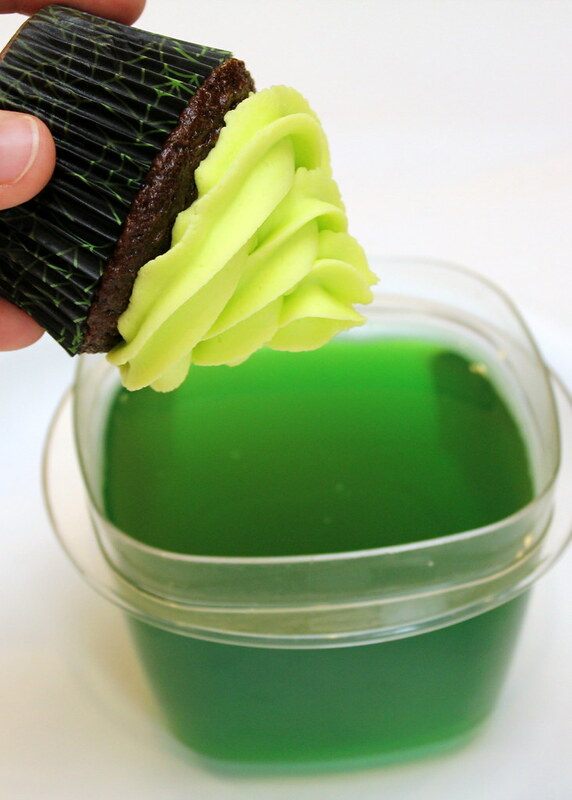 How about making cupcakes glow? Instructions found via Recipe Snobs. More cool pics of what they did. Nice blog and they seem to always have some kind of giveaway! Sweet. Treat your guests to some Homemade Pumpkin Frozen Yogurt, recipe from The Family Kitchen. 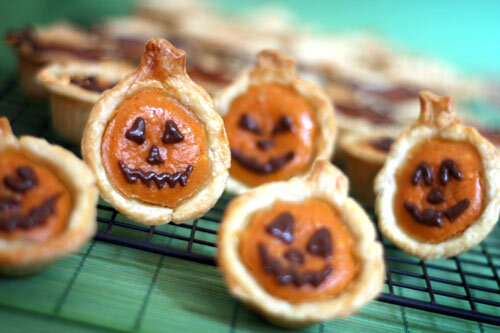 Pumpkin Pie Bites from the kitchen of Bakerella! 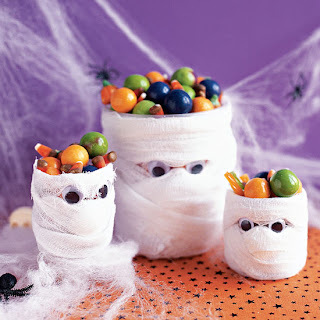 Check out her blog for MORE mini treat ideas. Love them all! Strewn your walkway up to the party with these DIY Milk Jug Ghosts. This link is found via Inspiring Pretty's post where there are more ideas waiting for you! Well, this is just a start to many more ideas but I hope it has inspired you for your next Halloween party. Have a great Monday and a safe night of Trick-or-Treating. Hi there! It's FALL (I shouted it, yes I did), it doesn't feel like FALL but it is! So what better way to bring in the season with Fall's mascot vegetable...pumpkin. This recipe is straight from Good Housekeeping and I'm just going to share the link with you because there wasn't a need for any adaptations. This is seriously one of my favorite recipes so far when it comes to Pumpkin bread. I did use Chobani greek yogurt, Trader Joe's canned Organic Pumpkin and Turbinado sugar, if that makes a difference. Other than that, you are good to go. Good Housekeeping Healthy Pumpkin Bread recipe. I have these cookie pictures I took and I'm really proud of them. However, I'm a still on the fence about sharing the recipe because I know it can be perfected. It was a bit too crumbly and the quinoa flour smell was a bit overpowering. Once again, I've attempted to bake a recipe off the top of my head and go with my instincts. However, my instincts when it comes to baking have yet to be refined. But for now, I just want to share my first attempt pictures with you. I have the ingredients down, now I must perfect the quantity of each ingredient and share with you the end result for another post! But for now, enjoy baking your own version of this cookie with the ingredients provided.